Sometimes a recipe is as simple as buying a few ingredients and throwing them together. While I usually try to make everything myself (this includes sauces, breads, etc. ), sometimes it's just not possible. Especially now with a newborn! 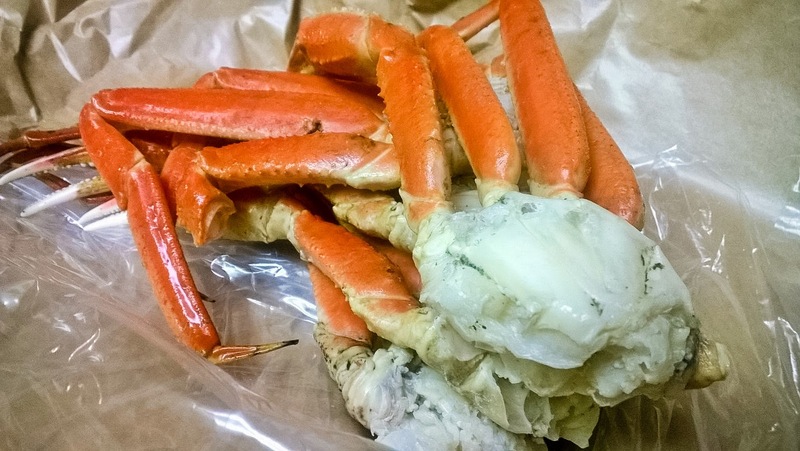 I bought some snow crab legs the other day. I figured rice would make a good side dish. 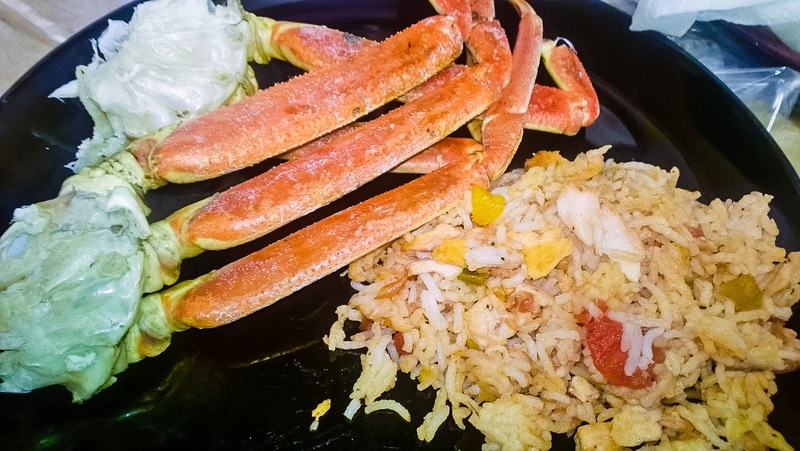 However, snow crab legs are not very big (resulting in not a lot of crab meat) and I wanted to bulk up the rice a little with another protein. Sticking with the seafood theme, I decided to make it with chunks of salmon. So I bought some. The frozen kind (we're keeping it simple with this one, remember?). Then I wanted to add multiple flavors but didn't have the time to make my own salsa. So I bought some of that, too. I got these ingredients at Target since I was already there doing some shopping. These days, you can buy salsas in all different flavors, with varying degrees of hotness. I have kids eating here so I'll usually keep them mild-medium, even when I make them myself. I sauteed two salmon fillets in some butter in a large frying pan. When it was cooked, I broke it up into pieces while still in the pan. I added about 1/2 cup of the salsa and continued cooking on medium heat for about 5 minutes. Then I added about 3 cups cooked rice and another 1/4 cup of the salsa and cooked for about 5 more minutes. Finally, I seasoned with some salt and pepper (to taste). 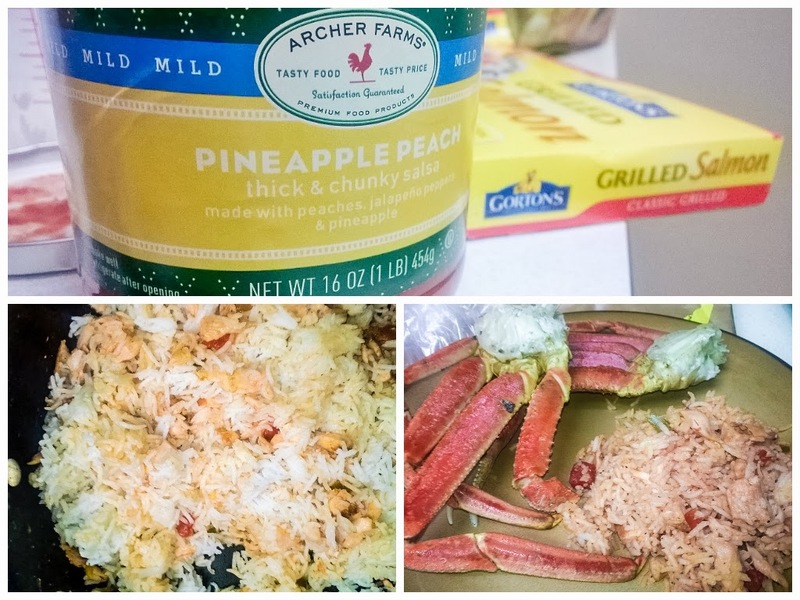 Incredibly tasty and incredibly easy and it went well with the crab legs.